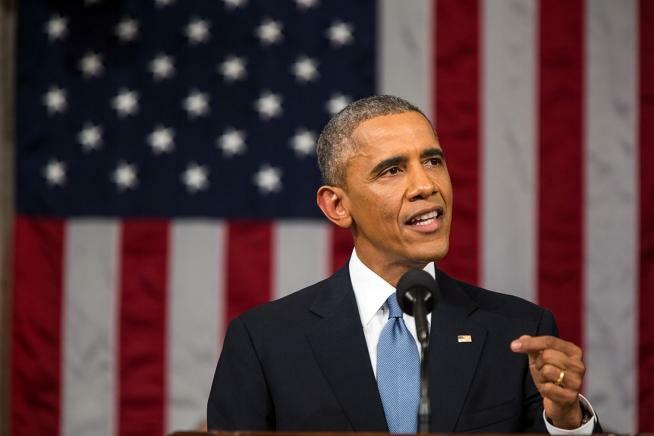 In his final State of the Union Address last week, President Barack Obama discussed the dire need for higher education reform and formally unveiled his College Promise plan. The program focuses on making education more affordable for students by offering two years of free tuition at community colleges throughout the country. As current college students, we are more aware of the excessive costs of education than anyone (besides our parents). I personally have only one semester left before I join the more than 41 million American college graduates with student loan debt, according to the Huffington Post. It is no surprise that people are excited about a policy that could help ease the financial burden associated with higher education. But are two years of free community college really the Holy Grail that many are making it out to be? Of course, there are some obvious concerns regarding the financial viability of Obama’s College Promise program, but even if political leaders are able to design an economically sustainable plan, there is no guarantee that it will reduce student loan debt or education inequality. To determine the future impact of the proposal we must first understand the true benefits of higher education. The knowledge that is gained from any form of organized learning is extremely valuable, so the importance of the education itself cannot be overlooked. But the real reason so many people are willing to plunge themselves into debt in order to go to school is that they expect to profit, in the long run, from lucrative job opportunities that come with knowledge. Unfortunately for students, not all knowledge is valued equally by employers. Therein lies the flaw in Obama’s proposal. Free community college would be the perfect solution to the higher education crisis if the problem was a lack of knowledge among workers. In reality, the problem is the lack of a degree or at least, a lack of the “right” degree. Even without the proposed expansion of free community college, there are still many free community colleges and other affordable alternative education programs available across the country. Some employers view these forms of education as inferior and subsequently seek out graduates from more expensive and well-known universities. This phenomenon is consistent with typical consumer behavior. We automatically perceive more expensive products as more valuable. Think about this: every time you buy a name brand product over a generic one you instinctively attribute the price mark-up to higher quality materials and better design even though you have no idea how either product was made. The same is true with recruiters. They assume that the higher the university’s tuition costs, the better the quality of the education. While this may be true in some cases, it certainly is not always accurate and qualified applicants from free education programs are at a disadvantage. Even if we were able to design a free community college program that provided the same quality of professors and curriculum, graduates from expensive schools would still have the competitive edge via the potentially arbitrary qualification of an expensive degree. The fact that many college graduates who have student loan debt could have avoided it by attending cheaper schools further proves this phenomenon. The perception of expensive universities as superior is so strong that millions of students willingly chose to take on debt just for the perceived professional and competitive advantages. The only way to really solve this issue is to somehow get employers to start recruiting based on what a student actually knows, not how much he paid for a piece of paper that says he knows it. Unfortunately this will be extremely difficult to achieve through public policy as legislation has no authority over perception. Hopefully the College Promise plan will help give more Americans access to higher education. Even if it does, much more progress needs to be made for the crisis to be rectified.